Laina came to live in Fond Blanc in September of 2012. She is from the village of Manich. She enjoys living here with her many friends. In Manich, her father works in construction and her mother works at the market. She has two sisters who she misses. Her job here is to help with dishes and she actually really enjoys doing them. She enjoys going to school and her favorite subject is Articulation. That is a class where she learns to pronounce her French better. She loves hop scotch and playing with her friends. She loves going to church and singing and dancing while praising Jesus. Her best friends are Feline, Roselie and Rosemilande. 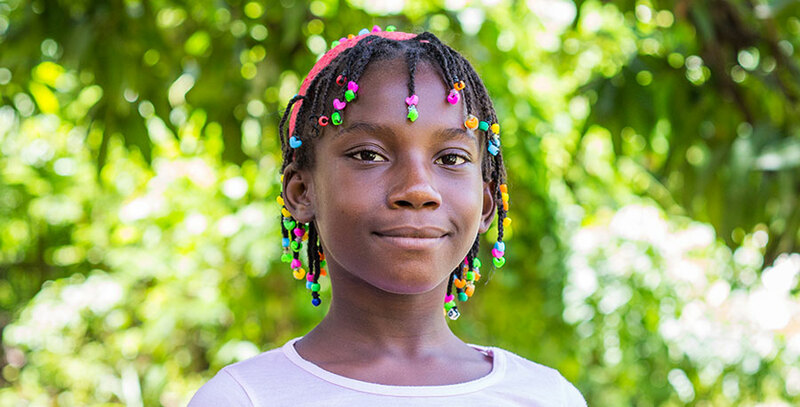 Her dream is to become a doctor and study in Port au Prince. If she could visit any country in the world it would be the United States of America. Laina says that she owes everything to Jesus!